Show your bedroom some vintage love with this beautiful cheval mirror. 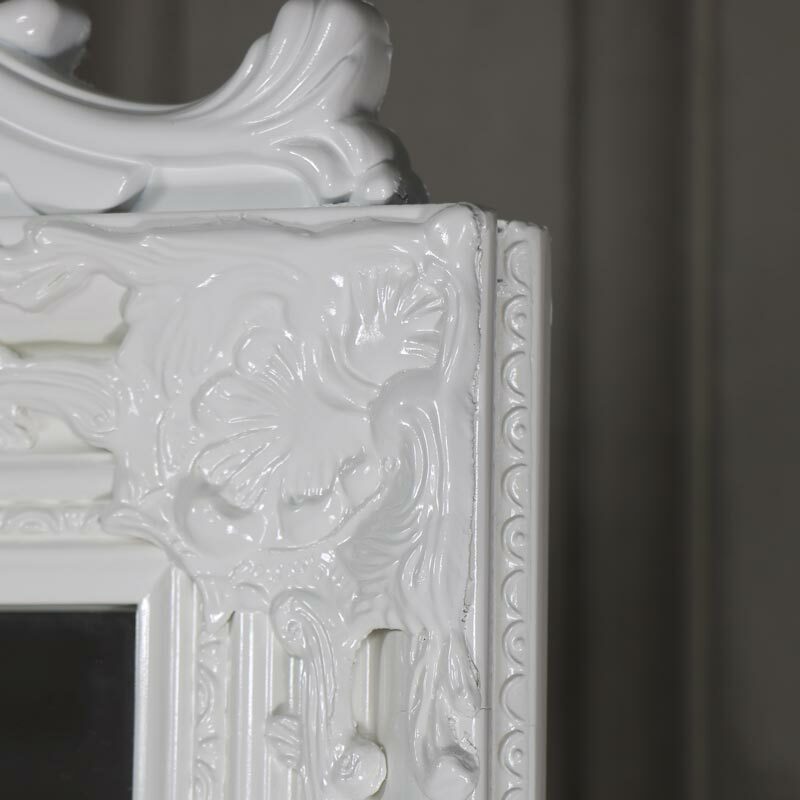 Ornate carved frame in a stunning gloss white colour, this is the perfect vanity mirror for a bedroom. 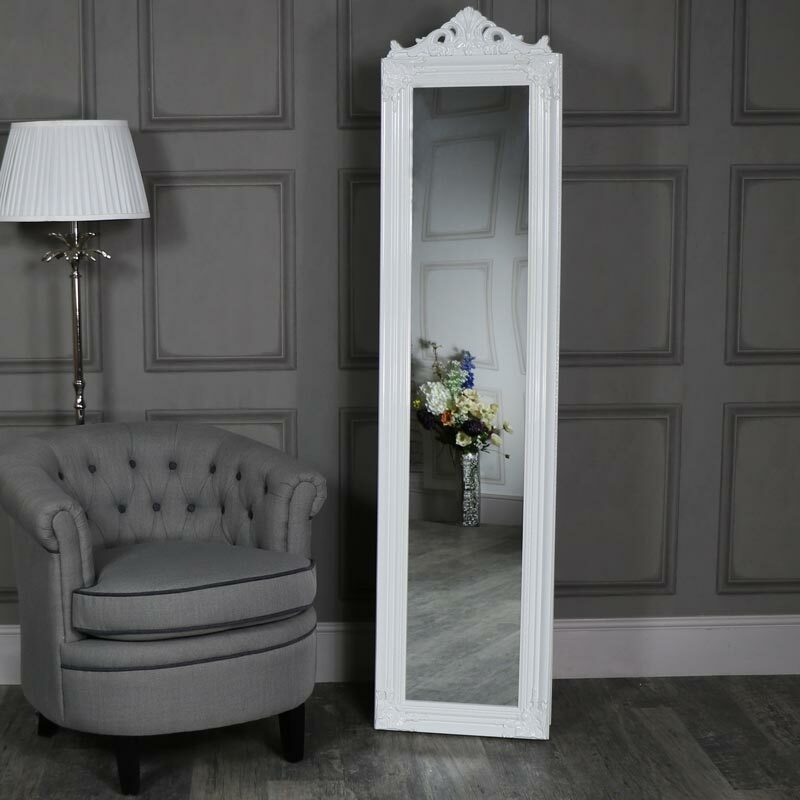 Fantastic freestanding design means that you can place this mirror wherever you need it. Just what you need for a girly bedroom, dressing room or boudoir. The ornate arched detailing on the top adds to the French style elegance. Ensure you look perfect for the day ahead or a fun night out. The pull out stand on the back ensures that this mirror is very sturdy. Show your bedroom some vintage love with this beautiful cheval mirror. 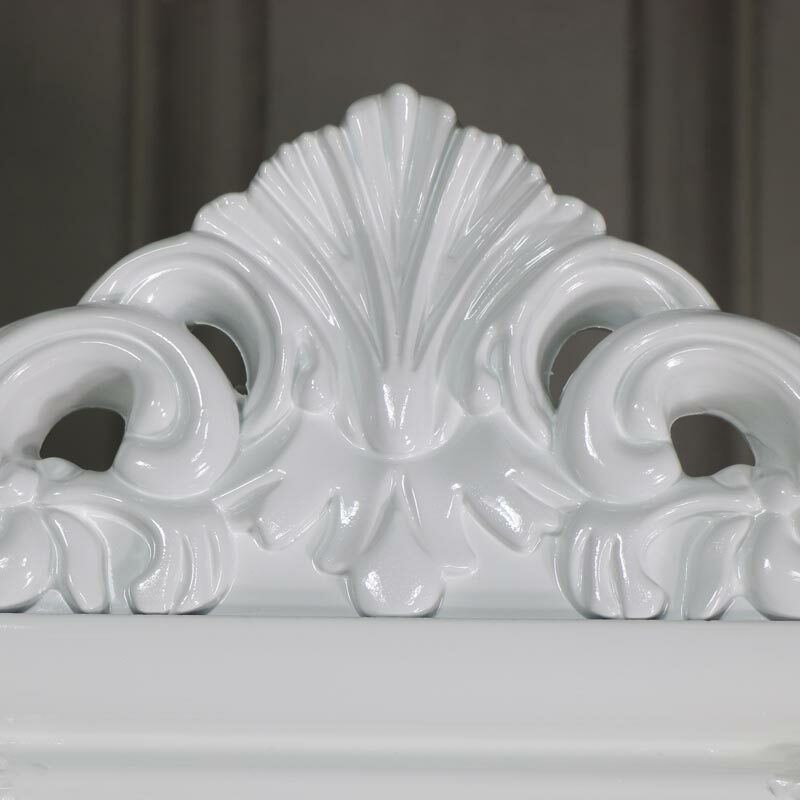 Ornate carved frame in a stunning gloss white colour, this is the perfect vanity mirror for a bedroom. 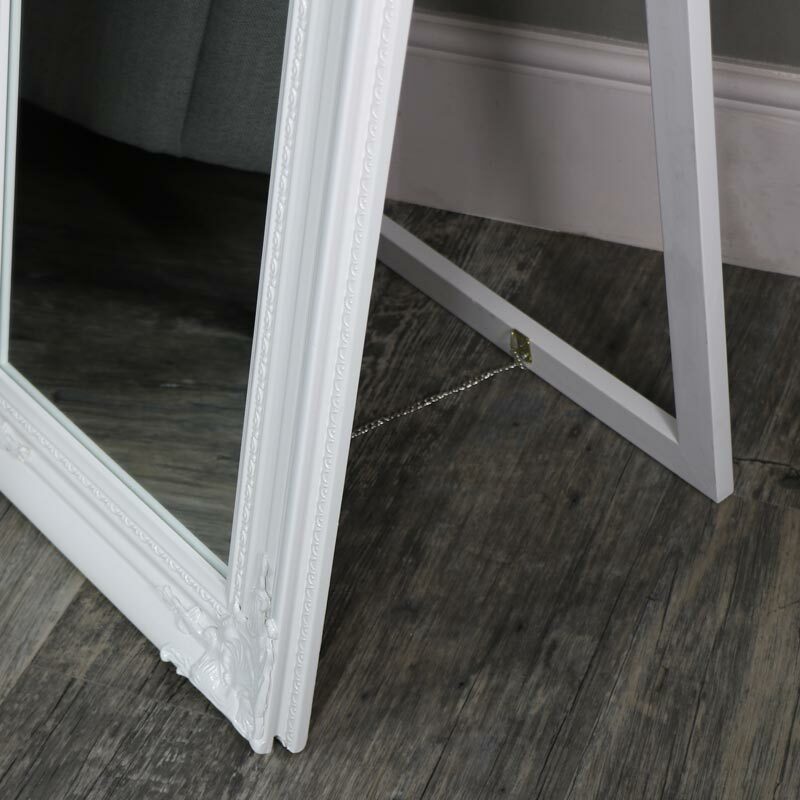 Fantastic freestanding design means that you can place this mirror wherever you need it. Just what you need for a girly bedroom, dressing room or boudoir. The ornate arched detailing on the top adds to the French style elegance. Ensure you look perfect for the day ahead or a fun night out. The pull out stand on the back ensures that this mirror is very sturdy. Resin frame in a bright gloss white painted finish. The mirror measures 44cm x 180cm (width x height) with the depth measuring 58cm with the legs fully extended.